The University of Milan has published a new study in journal Food Research International specifying that digesting bread and pasta can release active molecules that pass through the gut lining. The wheat proteins and molecules produced during digestion cause gluten intolerance and sensitivity in individuals who suffer from celiac disease. 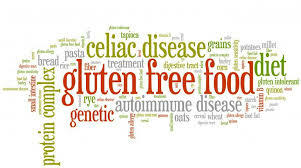 Approximately 1% of the general population is impacted by celiac disease or wheat allergy. The researchers have for the first demonstrated that the molecules produced during digestion include exorphins, which are involved in symptoms of neurological diseases and have been found in the spinal fluid of people with schizophrenia and autism. The new research reveals that two of these molecules – called exorphins A5 and C5 – are released during digestion of real bread and pasta, and that they can survive digestion and pass through an in vitro model of the intestinal lining. The researchers used two different types of bread and four types of dried spaghetti to digest each sample in a simulated digestion system. The findingds revealed that the levels of exorphins AS and CS were different with twice as much C5 being produced compared to A5; up to 1 milligram of C5 was produced from the in vitro digestion of a single serving size of pasta.